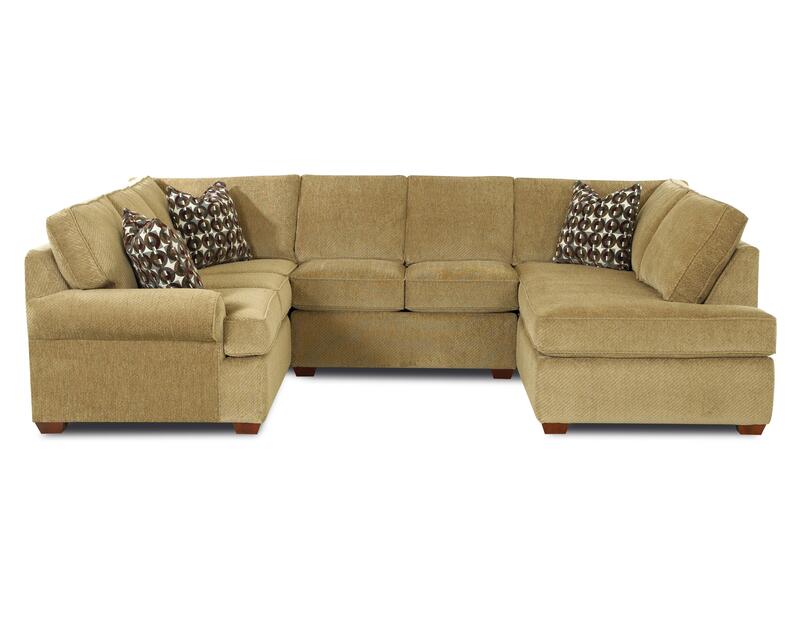 Perfect for large families and movie nights, this sectional sofa provides ample room for everyone. 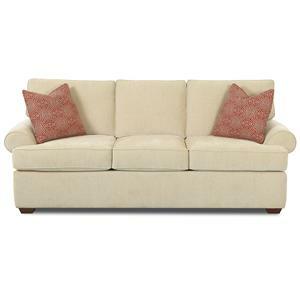 The plush T-shaped cushions and welt detail borders give it a comfortable yet put-together look. 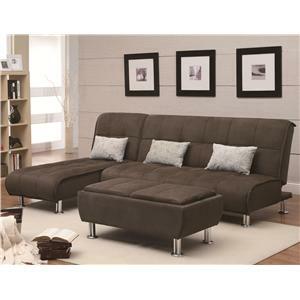 Its great for lounging around and watching your favorite movie or sports game. With over 1,500 fabrics to choose from, you'll have plenty of options to customize your own look and make it fit your home decor. 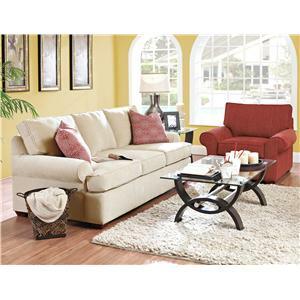 The Troupe Sectional Sofa by Klaussner at Value City Furniture in the New Jersey, NJ, Staten Island, Hoboken area. Product availability may vary. Contact us for the most current availability on this product. 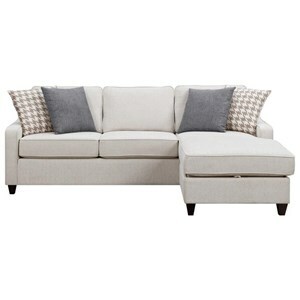 K51360L SCHS Left Arm Facing Sofa Chaise 1 41" 87" 36"
K51360 ALS Armless Loveseat 1 47" 41" 37"
K51360R CRNS 1 Arm Right Facing Corner Sofa 1 93" 41" 37"
Pillow Shown with three arm pillows. 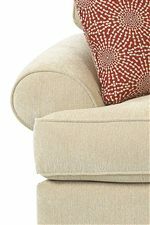 Tailoring Cushions and arms lined with welted detail border. Wood & Finish Wood Legs available in Maho, Merl or Oak Finish. The Troupe Collection offers a wide variety of seating arrangements and sizes, making it a perfect choice for any size living room. 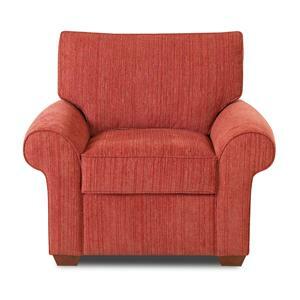 From large sectionals to chairs, Troupe offers comfortable seating options for the whole family. 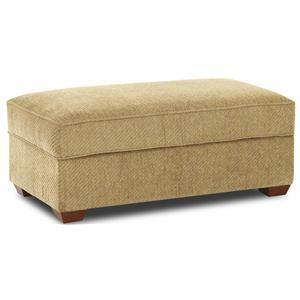 The collection will fit in wonderfully with your decor with its combination of casual, contemporary and traditional design. 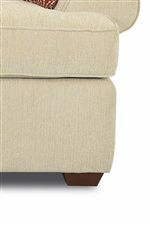 Rolled arms, and welted detail on the cushions take on a more traditional approach, whereas wood block legs and clean lines give it a casual contemporary look. 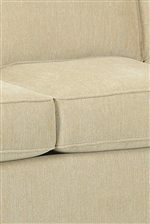 The Troupe collection is a great option if you are looking for Transitional furniture in the New Jersey, NJ, Staten Island, Hoboken area. 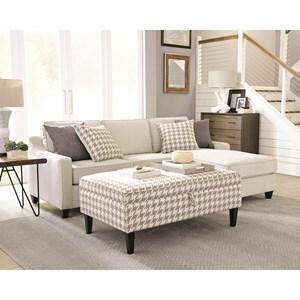 Browse other items in the Troupe collection from Value City Furniture in the New Jersey, NJ, Staten Island, Hoboken area.